WASHINGTON — Construction work on a portion of the George Washington Parkway is expected to cause problems for commuters in the coming weeks. The National Park Service said the bridge over Windy Run in Arlington, Virginia, will be repaired, leading to delays and changes to the normal traffic pattern. Noticeable construction is scheduled to begin June 11 as crews remove guardrails, install temporary lane dividers and pave the median. That work will require some off-peak lane closures. 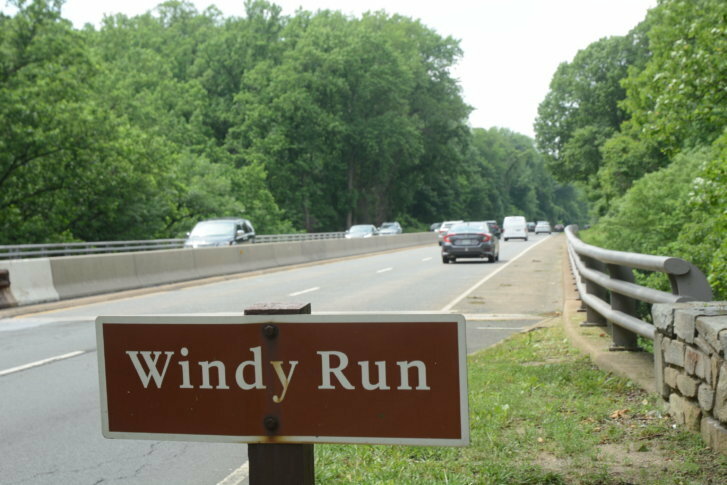 Windy Run Bridge is about 2 miles south of Virginia Route 123, 7 miles south of the Capital Beltway and 1 mile north of Spout Run Parkway. “We recommend taking public transit, using a different driving route or working from alternate locations while the bridge is under construction,” said park Superintendent Alexcy Romero. The work that happens in June will be in preparation for impactful repairs the following month. Starting in late July, the speed limit in the work zone will be lowered to 35 mph and the number of lanes will be reduced on and around Windy Run Bridge. There will only be three lanes of traffic — one southbound, one northbound and another will be reversible to accommodate morning and evening rush hours. This project will extend the life of the bridge by 15 years and help address issues with recurring potholes, according to Romero. The National Park Service also is planning for a full rehabilitation of the entire north section of the George Washington Parkway from Spout Run to Interstate 495/Capital Beltway. That project will be open for public comments for 30 days later this summer.